Shear Hotness is one of the few makeup services in Louisville that has the experience to be able to provide any look that a bride wants. Ebony, the owner of this company, has an impressive list of qualifications and has brought together one of the most talented teams in Kentucky. When it comes to your wedding day you shouldn’t settle for anything but the best and with their awards and prestigious previous clients you should only go to Shear Hotness. While they might be the premium service in Louisville they also offer affordable prices. If you want to look your absolute best then you need to get so much more than a makeup artist. At Faux Finish Studios they offer traditional makeover options and the full works so you can turn every head on your wedding day. From styling to body wraps, you will work with an expert to tailor your own personalized treatment. This means that you will not only look amazing on the outside for your wedding but you will feel amazing inside. Lesa Miller of Lesa Miller Stylist has over 25 years of experience as a stylist and makeup artist in Louisville, KY. She is an expert in every aspect of the beauty industry from hair and makeup to wardrobe and complete look coordination. Lesa’s work has mostly been based in photography but she is available for wedding assistance in the area too. You will have access to an artist when you hire Lesa. She will make your feel beautiful while keeping with the overall theme of the occasion. 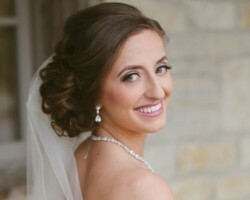 Marie Fulkerson offers a wedding hair and makeup service like no other in Louisville. In fact as soon as you view her portfolio of before and after photos you will fall in love with the styles that she creates. Marie herself has been working in the makeup industry for several years and her skills have quickly developed to enable her to create all of the techniques that she needs to be a true professional. Not only is she fully certified but reviews of her work praise every aspect of her service. 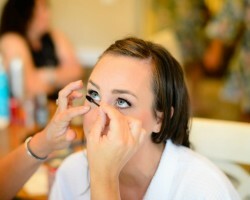 Hiring Makeup By Elizabeth means that your natural beauty will shine through on the biggest day of your life. 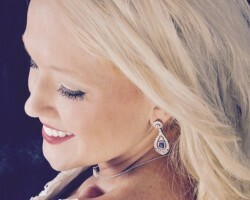 Unlike many other Louisville makeup artist, Elizabeth provides specialized services for brides and listens to exactly what they would like and offers a full trial run before the wedding. All of her bridal makeup services are on-location, which means you won’t have to worry about going anywhere before the ceremony and because her results seem like permanent makeup you can trust the look will last all day and night.